Meetings. Ah meetings, you either hate ‘em or love ‘em. So how about skipping the ordinary (your office) and head to Torrance to make your next meeting extraordinary! 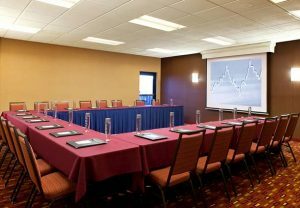 Here are a few reasons why Torrance is the perfect spot for your next conference. Pack your business (or casual) attire and make your way to SoCal’s secret city. Torrance is located just 15 minutes from LAX, making it the perfect spot for a quick and stress-free trip. Did we mention room rates are more than affordable? With about 2,500 hotel rooms that fit all needs and budgets, you’ll have several options for some shut eye after all your meetings. With more than 67,000 square feet of total meeting space, go from casual to elegant or anything in between to set the right mood for all your meetings. From your favorite hotel chains to local spots, Torrance has options to fit all styles. After a day full of meetings, what’s better than kicking back with a cold one? Get a taste of Torrance’s award-winning craft breweries at any of our 11 locations (and counting!). You’re bound to leave Torrance a beer expert. After all, the city is becoming known as a hub for SoCal’s craft beer scene. Trust us, you don’t want to miss out on these brews! More than 400 delicious eateries around Torrance will help you fuel up after every meeting. From low-key bites to extreme eats, you’re bound to spice up your palate during your trip. 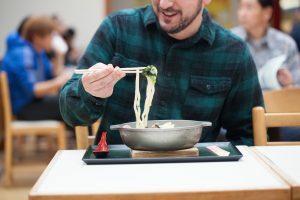 Torrance is also home to some of the best Asian cuisine and ramen around. After all your meeting and greeting, don’t let the opportunity to explore pass you by. Check out one of Torrance’s best hidden treasures, Torrance Beach. What really makes this beach better than the rest, the privacy that comes with it. Enjoy the 1.5-mile stretch of pristine coastline while taking in the amazing (more like perfect) Southern California weather. Life doesn’t get much better than that! Forget your favorite pair of shoes? How about that tie? Don’t worry, Torrance has you covered. Home to the fifth largest shopping mall in the U.S, the Del Amo Fashion Center has more than 250 stores, guaranteed to have anything you may forget. Torrance also offers visitors a wide variety of boutique shops and much more in historic downtown. 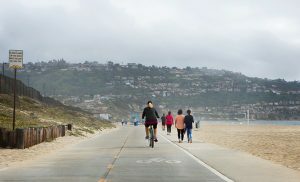 With so much to do in Torrance you’ll never want to leave, but if you must venture out to Los Angeles’s most popular attractions, you won’t have to go far. Torrance is no more than 30 miles away from some of the hottest spots in SoCal including the StubHub Center, Disneyland, Hollywood Walk of Fame and more. And once you’ve had enough of the crowds, Torrance will be waiting for your return. So, are you in? Book your next business trip today! (Or tell your boss to). We look forward to meeting you in Torrance.